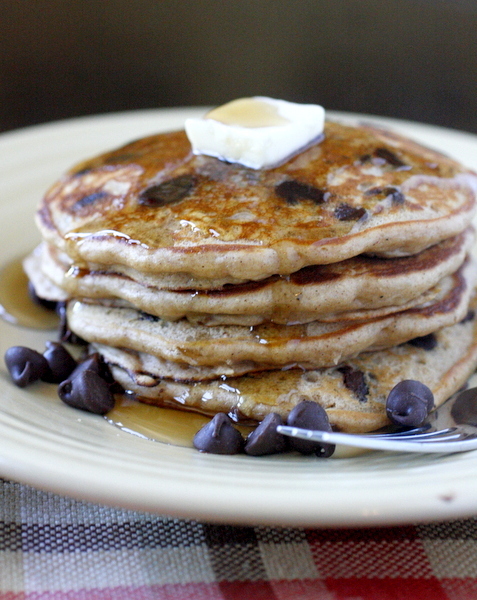 These oatmeal chocolate chip pancakes taste like a warm oatmeal cookie in pancake form! Don’t they look so good?? They are soft and fluffy and chock full of hearty oats and melty chocolate chips – a great combination if you ask me. 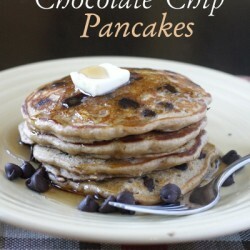 Plus they are made with whole wheat flour, which makes me feel a little better about eating chocolate for breakfast. 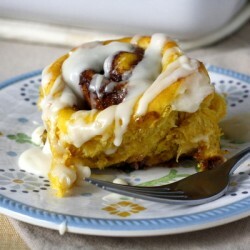 Mike and I both loved these, and I think they will become a regular breakfast for special occasions. And you should have seen the look on Zeke’s face when he saw that he had chocolate for breakfast! Needless to say, these pancakes are very kid friendly. 🙂 Enjoy! 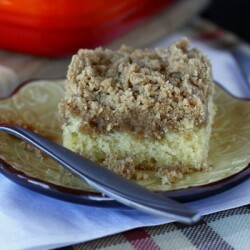 In a large bowl combine the flour, oats, salt, baking powder, sugar, cinnamon, and nutmeg. In a small bowl combine the milk, egg, and vanilla, whisking to break up the egg. Add to the flour ingredients and stir just until combined. Fold in the chocolate chips. Oil a nonstick griddle or skillet and heat over medium high heat. Drop 1/4-cup portions of batter onto the griddle and gently spread to make a circle. 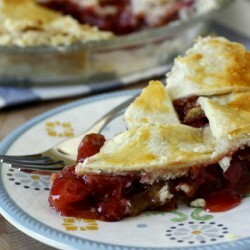 Cook for about 3 minutes, or until bubbles start to form in the center and the edges are dry and golden. Flip and cook until the other side is golden and pancake is cooked through, about 2 minutes more. Serve immediately with your favorite pancake toppings. YUMMY!! 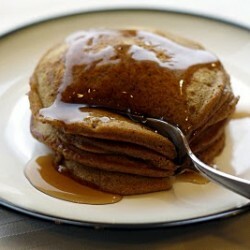 I make whole wheat pancakes and put oatmeal, flax, spelt, and kamut. at times. Love to mix the flours. 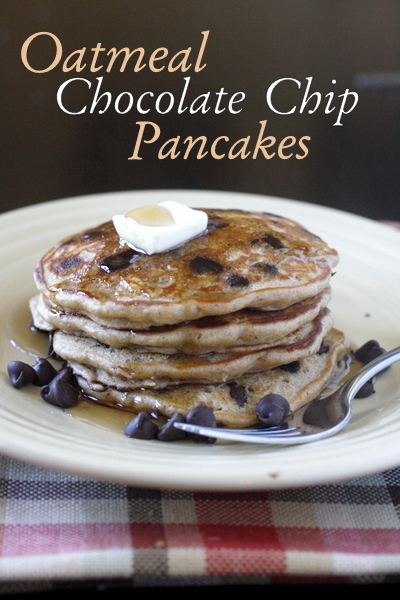 Chocolate chips would also make for a good dessert pancake. HA! !